Famous Street Fighter character Akuma makes an appearance in Tekken 7. Why did Bandai Namco choose to introduce Akuma to Tekken 7? During an event held at Bandai Namco’s newest Santa Clara studio, creator of Tekken 7, Katsuhiro Harada spoke and confirmed some key details about the inclusion of the popular Street Fighter character in the upcoming Tekken 7 game. Harada comments on precisely why they decided to include Akuma into the Tekken world. Making an appearance in Tekken 7, Akuma is said to still be the same intimidating character that he always was in Street Fighter. What were the difficulties in migrating Akuma between games? The Akuma reveal trailer gives us a great look at the character’s design and feel, while at the same time explaining his place in the Tekken world, having come from Street Fighter. 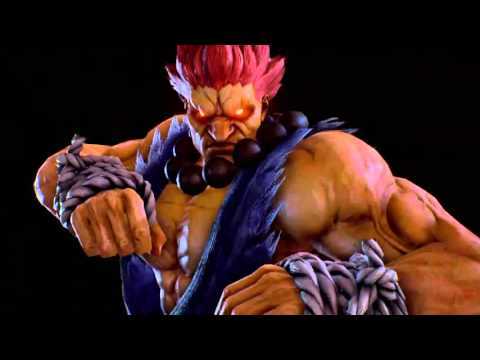 How has Akuma’s move been received by the gaming community? Born of convict stock and living in rural Australia, Allan reports on gaming news from around the world, still proving that "gaming can get you everywhere in life", it's a matter of perspective! This image of Devil Jin shows the amazing amount of detail that went into this character.